The Minister of Education Youth and Sports, Mr. Kwadwo Baah Wiredu has dismissed criticisms by the Opposition National Democratic Congress (NDC) that school fees had risen so high under the NPP administration that parents were finding it difficult to pay. He said although there had been increases in school fees to some extent, the increases were not astronomical to the point that parents could not pay. He said the time the NDc assumed office, school feeding fees at the secondary level was C6,930 but at the time the party was leaving office, it had risen to C280,000 representing 3,940 per cent increase in eight years of the party's administration. He said the time the NPP assumed office, feeding fees in secondary schools was C280, 000 but the amount had only risen to C587,667 representing 106 per cent increase in four years. He said under the NPP administration, the government paid a total of C118 billion last year alone as subsidy for both day and boarding student. Mr Baah Wiredu explained that the amount represented miscellaneous expenses such as general stationary, first aid, building maintenances sports fee sanitation, postage, report cumulative records, furniture maintenance among others which should have been paid by parents and guardians. He further explained that with the payment of government subsidy for secondary education, day student paid only C24,000 a term for the last year and the only C27,000 a term for this year. The minister said under the NPP administration basic education was virtually free. 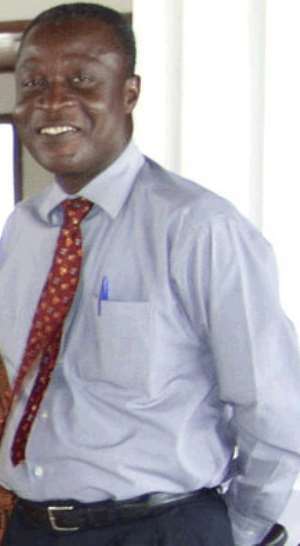 He said the fact that the minimum wage had now been fixed at C11.200, which is equivalent to more than one dollar, was an indication that the people were more empowered under the NPP to pay school fees than in the previous NDC regime, under which the minimum wage was less than the equivalent of a dollar. He said it was the policy of the NPP government to improve upon the quality of education generally and make secondary available and accessible to the people.